Space Coast Seafood & Music Festival is an exciting family event, will include a wide selection of fantastic seafood, top flight entertainment, premier Arts & Crafts Show, a Pirates Festival and Parade, a Kids Zone, – and numerous other special events. The seafood festival will also feature a fun kids zone, all four days and nights, with bounce houses, games and fun. A Festival ticket - is good for one day access to the seafood festival and the concerts on Thursday with the Space Coast Symphony Orchestra or the Molly Hatchet concert on Sunday. These tickets are $8 each when purchased in advance or $10 at the festival gates. 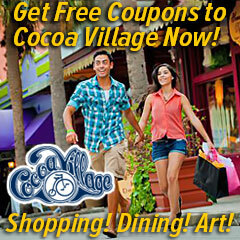 A Concert ticket for SOJA with special guest Ky-Mani Marley for Friday are $29 for GA, $35 for PIT or $49.50 for VIP. For the Saturday evening concert with Travis Tritt, The Charlie Daniels Band and The Cadillac Three, concert tickets are $29, $49.50, $69.50 or $79.50 each. All Concert Tickets Also Include Festival Admission. A four-day, Seafood Festival pass is $29, which is good for all four days of the festival, but does not include the concerts with Travis Tritt, The Charlie Daniels Band, The Cadillac Three, SOJA and Ky-Mani Marley. 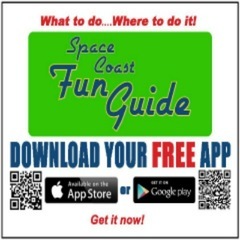 It does include general admission access to the concerts with the Space Coast Symphony and Molly Hatchet. A 4-day, Concert ticket is just $49 and is good for general admission to all four days of concerts and all 4 days of access to the festival. 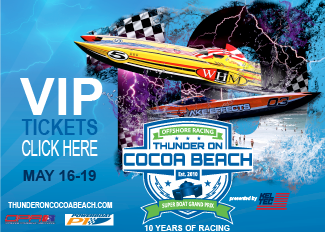 Festival Tickets may be purchased at the Cocoa Beach and Melbourne Chamber of Commerce locations below or at any Ticketmaster location. Any concert tickets purchased include seafood festival admission.